Washi tape is not necessarily the most practical item, but it's still one of my favorite (and many other people's favorite) stationery items. If you don't know what washi is, it's - in a nutshell - Japanese patterned masking tape; it generally has a relatively weak adhesive and some sort of pretty design. Traditionally, it's paper-based, but some companies make it laminated. However, it's always able to be torn by hand. Washi tape is expensive compared to most types of tape, since individual rolls (which are usually pretty small) tend to be around the $1-$3 range, but a few rolls would make an awesome small gift because of their low price and huge variety of patterns that'll fit the preferences of any stationery addict. You can find washi tape, both individually and in packs, in some brick-and-mortar stores - like Target, Michaels, Meijer, and Paper Source (which has many cute patterns, though it tends to be even costlier) - and online - such as on JetPens, Amazon, Etsy, and many, many other places. This requires some more knowledge about the gift recipient, but if you know of any specific fountain pens, gel pens, or refillable markers that they enjoy using, ink cartridges and refills can make a super enjoyable yet practical gift. Ink cartridges also tend to be fairly inexpensive, but unfortunately, they are - for the most part - only available online. Some good places to find them include Amazon, JetPens (specifically for gel and ballpoint pens), and Goulet Pens (specifically for fountain pens). Of course, pens (either open stock, singular pens or packs of pens) also are awesome for Christmas gifts. Specifically if you're shopping for a student (or really just a general stationery addict), I suggest the Pilot Juice gel pens or Zebra Sarasa Push Clip gel pens for general, everyday use or "fancy" highlighters like the Zebra Mildliners, Uni Propus Window Highlighters, or the Pilot FriXion Erasable Highlighters. For an artist, calligrapher, or someone who just likes being fancy with their writing, I suggest the Sakura Gelly Roll gel pens (which come in so many different variations - like glitter, metallic, neon, and more), Pentel Fude Touch Sign Pens (brush pens that are awesome for brush calligraphy beginners), Tombow Dual Brush Pens (they have a bullet tip and a large brush tip, which is particularly great for more experienced brush calligraphers), Sakura Pigma Microns (which are felt-tip pens meant for art, but they're just really nice pens in general), Pilot Parallel Calligraphy Pens (fountain pens with an italic nib meant for italic calligraphy), or the Speedball Calligraphy Pen Set (which comes with a nib holder and 6 different calligraphy nibs, though you'll need to get an ink specifically meant for dip pens like the Speedball Super Black India Ink). If you have a higher budget (well, on the higher end for a stocking stuffer), you could also consider gifting a fountain pen. The Pilot Metropolitan, Lamy Safari, and Lamy Al Star fountain pens are great for beginner fountain pen users. However, because they all use proprietary ink cartridges (meaning the cartridges are brand specific), I recommend including a converter for a few extra bucks, which'll let you use normal bottled ink with the pen. Goulet Pens - the site that these links go to - lets you easily add the correct converter in the website's checkout. If you can't choose a specific type of pen to get, then the JetPens pen samplers might be the best option for you. Each pack comes generally comes with 5-10 pens, and you can get a pack by type of pen (like "brush" or "drawing" pens), color, specific property, and more. If you're already getting a fountain pen, or if the gift recipient is already a fountain pen user, then giving them fountain pen ink would be a nice choice for Christmas. 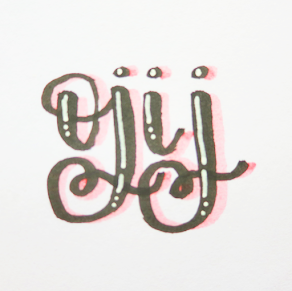 In terms of full bottles of ink, Noodler's Black is a nice standard black, J. Herbin Emerald of Chivor is super flashy and cool looking (seriously, you gotta look at the pictures), and Pilot Iroshizuku Tsuki-Yo-Moonlight is a standard blue in a really fancy bottle. Goulet Pens also sells individual ink samples for around $1-$3, but they also sell ink sample packages. For a fountain pen beginner, I suggest one of the packages by color - either black or the giftee's favorite color. For someone who already has a fountain pen ink collection going, then I suggest a package by property - such as shading, which are inks that forms gradients when the ink dries, or sheening, which are inks that are sparkly. Another Christmas stocking stuffer idea for fountain pen users is fountain pen cleaning and tuning tools. Goulet Pens actually has a cleaning pack, but I find that it might be too big to actually put in a stocking. Instead, you can get individual items, such as a sample of pen flush (which is used to clean out ink), a set of 2 ink syringes, a set of 2 brass sheets (to help clean between between the tines of a fountain pen nib), or a rubber grip (for easier removal of nibs). For any pen hoarding aficionado, a pen testing memo pad would be super helpful to keep track of what pens and inks they have, their properties, when and where they were purchased, etc. The Col-o-ring Ink Testing Book was specifically designed by the stationery blogger The Well-Appointed Desk for this very purpose, as it has sturdy covers and very high quality paper. However, any memo pad or small notebook will work as long as it has thick and smooth paper (look through Goulet Pens or JetPens). For the ultra ~fancy~ stationery addict, a sealing wax set would most likely be very appreciated, despite its higher price tag (relative to the other things on this list). This J. Herbin Letter Seal & Wax Package Set comes with a handle, the letter seal itself, and wax. For the seal, you can choose between two different letter styles, and the wax comes in packs of 4 with a choice between 8 different colors. Planner stickers would make a great stocking stuffer for any sort of planner person this Christmas. Etsy has a crap ton of planner stickers, and if you know what specific type of planner they use (e.g. a bullet journal, Erin Condren Life Planner, etc.) then searching "[planner type] stickers" will bring up lots of relevant results. A pencil case would also be a nice and practical stocking stuffer. In particular, I think the Sun-Star Delde Slide Pen Pouch is super cute and pretty unique, and the Saki P-661 Roll Pen Case is interesting in that it rolls up (hence the name), so it's great for people that specifically like to carry around a lot of pens/markers/pencils/etc. If you've clicked on a few of these product links, you might've noticed that they're almost all from Goulet Pens and JetPens. In my opinion, they're both absolutely awesome companies with really good stationery options, so if you aren't satisfied with any of these Christmas gift ideas, then you can just browse through these sites to find something you think would be perfect for your particular budget, giftee's preferences, etc. And of course, if you really need to, both of these retailers also offer e-gift cards (link for JetPens gift card / link for Goulet Pens gift card). 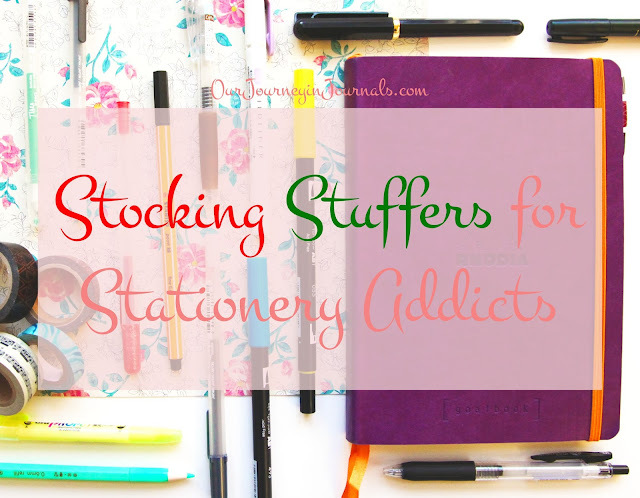 Those were some of my ideas for stocking stuffers you can give to a stationery addict this Christmas! These are all things that I myself personally would enjoy receiving, so I think your gift recipient would also appreciate getting any of them as a present. Happy holidays, everyone! What do you want this Christmas? Let us know in a comment down below!